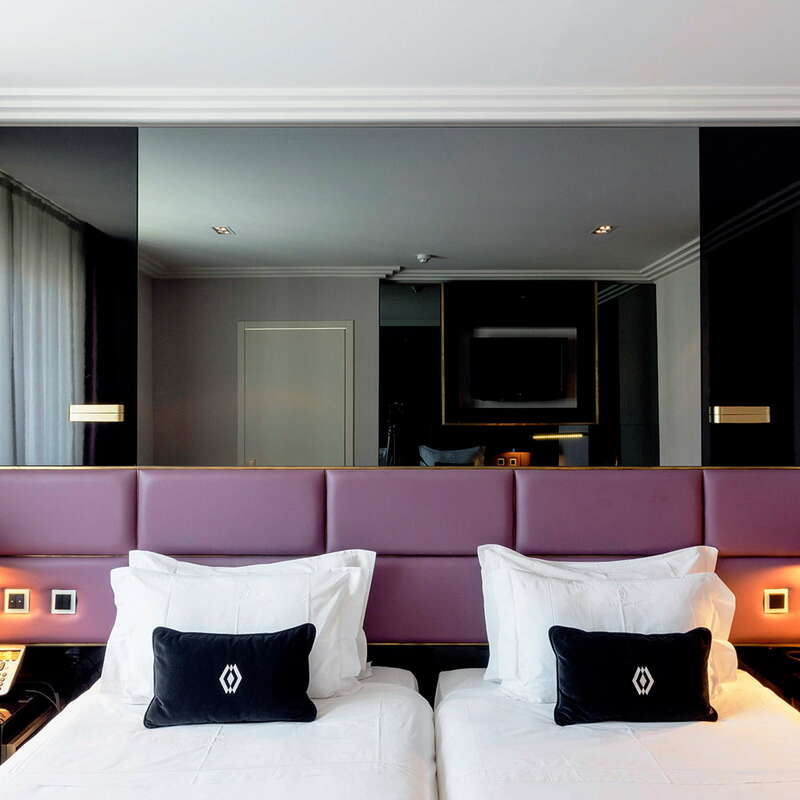 The five-strong Altis group of luxury Lisbon hotels prides itself on attention to detail, and this 70-room hotel has the design flair and attentive service that Altis has become known for. A 1940s government building has been stylishly reinvented as upscale lodgings, preserving plenty of original Art Deco and Modernist detail. 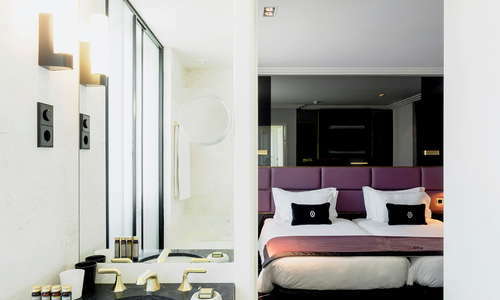 As of 2017 it has been given a major revamp to bring the fixtures and fittings up to modern standards, but the retro stylings remain key to the hotel's appeal. 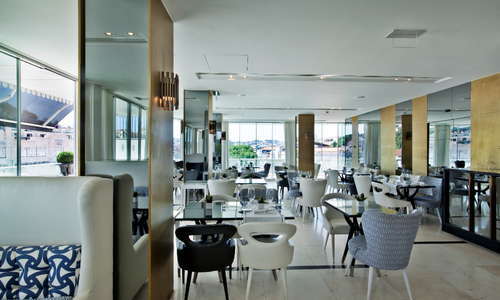 Service is a strong point, as is the high-end rooftop restaurant, a lovely setting for breakfasts. There's no pool or gym, but guests may use those of the larger Hotel Altis. 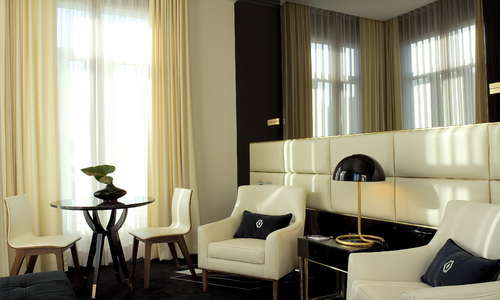 Guests at the hotel have discounted access to the fabulous Karin Herzog spa at Altis group's boutique hotel in Belem. 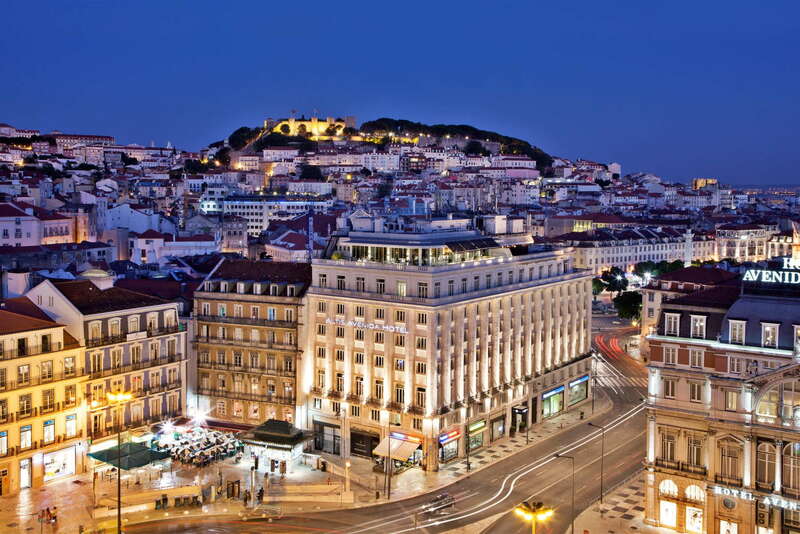 The location, overlooking Rossio and Restauradores Square, could hardly be more perfect for sightseeing. 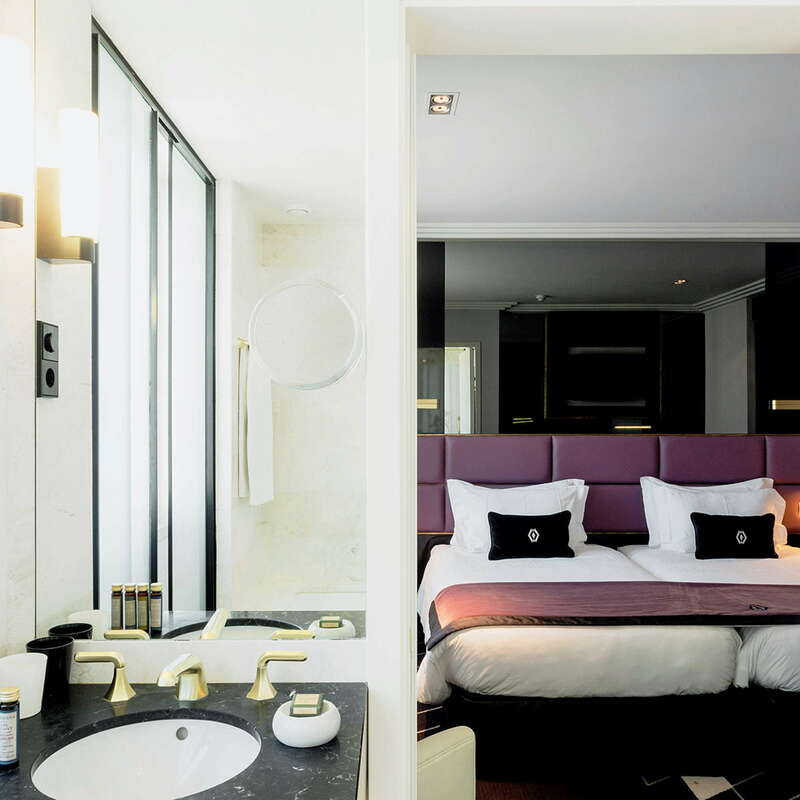 YOU SHOULD KNOW Planning restrictions on the listed building mean the hotel doesn't have the vast rooms or abundant facilities of other Altis properties. 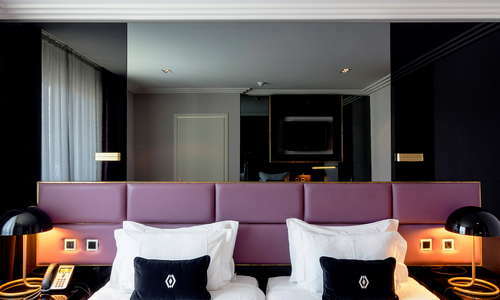 The hotel aims to recapture a little of the glamor of 1940s, and the rooms reflect this in their vintage-chic stylings. The 68 rooms and two suites are spread out over six floors, each with a different color theme, and some have balconies with impressive views. Don't expect cool whites or minimalist vibes--think deep purples, and plenty of gold trim. If that sounds a little gauche, fear not--it's all done in the best possible taste! 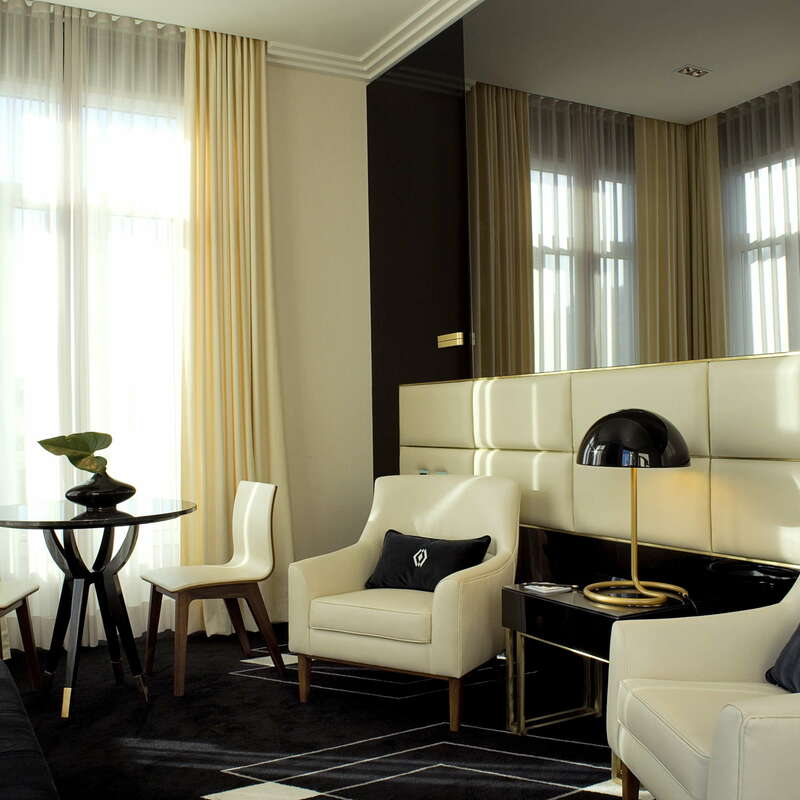 The Egyptian cotton linens and comfy beds add to the plush experience. YOU SHOULD KNOW Not all of the rooms have remarkable views--some of those at the cheaper end look out onto back streets. Bathrooms have a good deal of black and white marble and have tubs, a few have separate shower cubicles, others have overhead showers. The amenities are plentiful, and high quality. The lobby at Altis Avenida is unashamedly bold in its design--the theme of 1940s glamor is reflected in the abundant use of marble and gold, while ornate armchairs and lamps add a dash of contemporary style. The 24-hour black marble reception is manned by friendly staff in smart vintage-look uniforms. YOU SHOULD KNOW Mention when booking if you need or prefer a standalone shower. 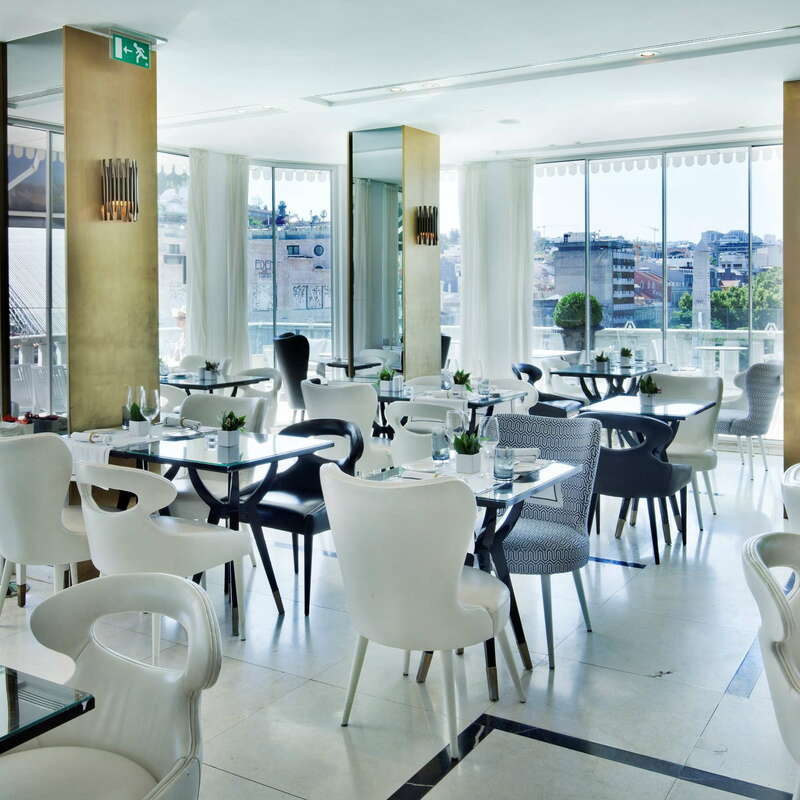 Rossio, the rooftop restaurant at Altis Avenida, is a well-regarded upscale spot for lunch or dinner (hotel guests also get to tuck into their vast buffet breakfasts here). The views over the city's historic downtown are stunning--and on sunny days the tables on the terrace are the place to be. 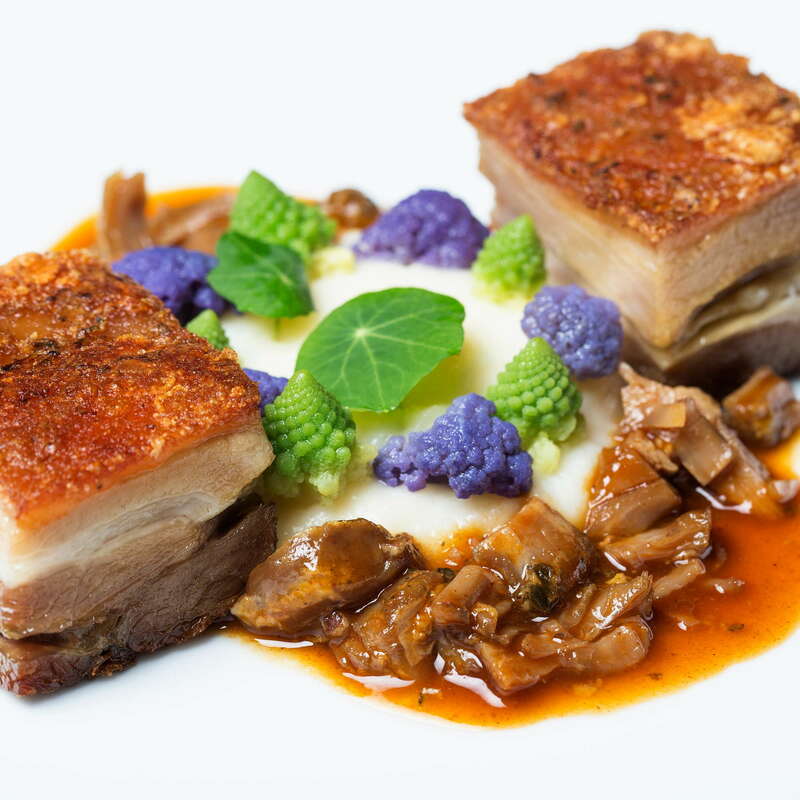 The service, foo, and decor all aim for an old-world elegance, and the cuisine is traditional Portuguese, done with great panache. YOU SHOULD KNOW The restaurant is fairly pricey, but look out for some good lunch deals. Guests who don't want to dine at the restaurant are welcome to come up for a drink--it's open until 1 a.m. nightly, and has a lengthy list of Portuguese wines and beautifully presented cocktails. 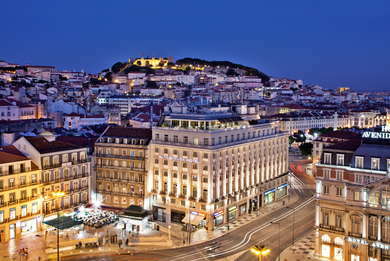 The hotel is around six miles from Lisbon airport, which can easily be reached by Metro (to Rossio) or cab. The location is in prime sightseeing territory, and most major sights, shopping, and nightlife can be reached on foot by anyone with the stamina for some steep hills. Those who don't fancy the climbs can let trams, buses, and tuk-tuks (these are fairly expensive) to take the strain. Cabs and Ubers are also easily available. The hotel is surrounded by restaurants, but watch out for tourist traps in this super-busy part of town. Some interesting dining options within walking distance include Maria Catita (15-minute walk along Rua Augusta), a lovely deli and restaurant serving traditional Portuguese dishes prepared with great care and served in a deliberately homely atmosphere. Another curiosity that goes beyond gimmicky appeal is Can the Can, a gourmet restaurant that focuses its attentions on nothing other than canned fish. 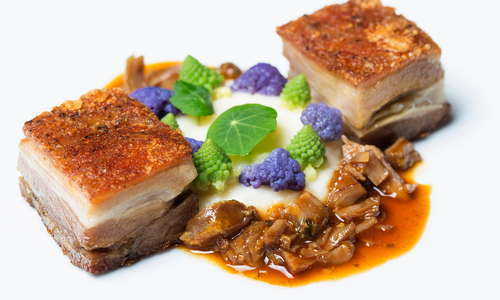 With Fado music and a stylish decor, the food is surprisingly good. 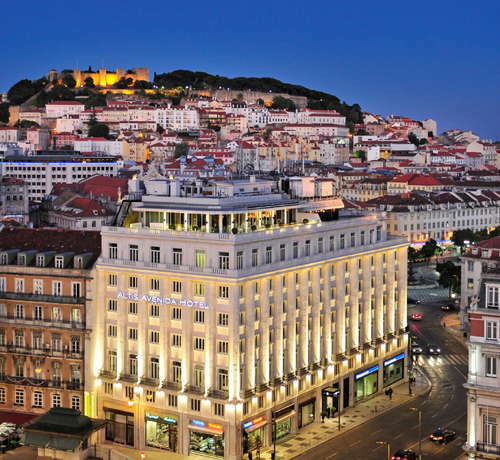 Guests here can take their pick of Lisbon's nightlife scene--nearby Chiado has some lovely spots--don't miss al-fresco drinks with a view at Topo Chiado (3-minute walk), where DJs spin tunes and cocktails are mixed under the stars right through the summer, or head up to Bairro Alto, where there's a wine bar or gin joint on practically every corner--try Portas Largas (10-minute walk), which has been attracting a large, lively crowd for decades. 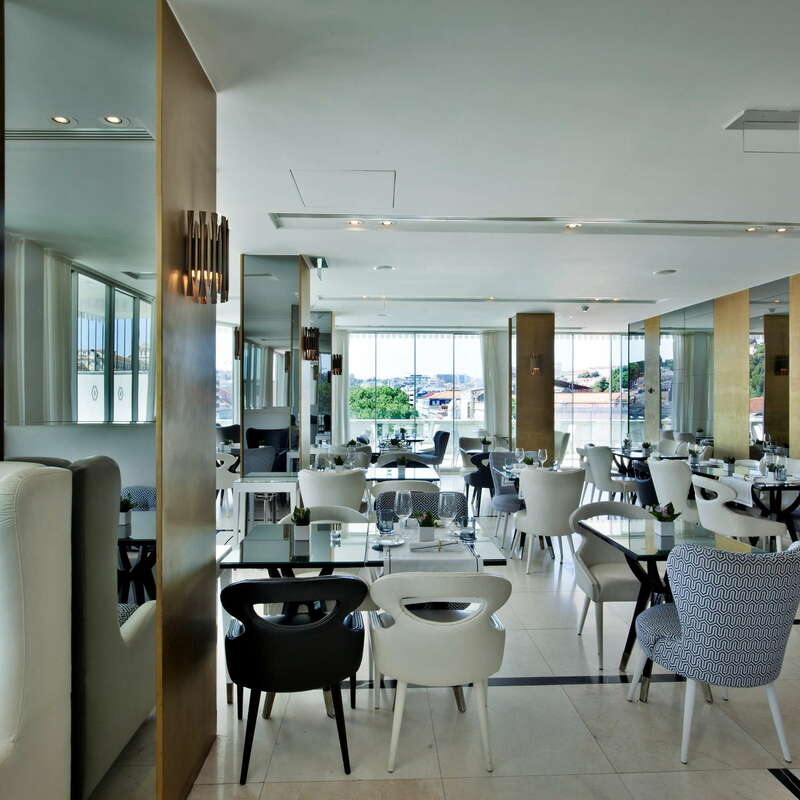 This glamorous hotel has an unashamedly flashy style, and a fabulous location at the very heart of Lisbon's historic downtown. 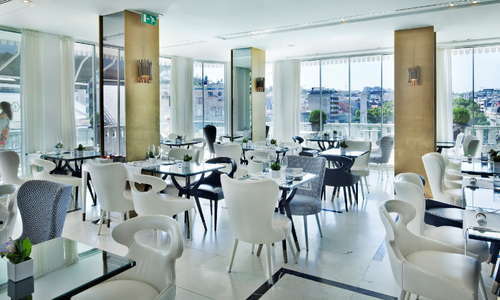 The top-floor restaurant, the service, and the stylish decor are all major points in its favor, and guests here are within easy walking distance of all that historic Lisbon has to offer--from chic shopping and fine dining to impressive architecture and that glittering river.